In medium bowl, stir Bisquick™ mix, milk, eggs, oil and vanilla until blended. Stir in oats. Pour by slightly less than 1/4 cupfuls onto hot griddle. Cook until edges are dry. Turn; cook until golden. 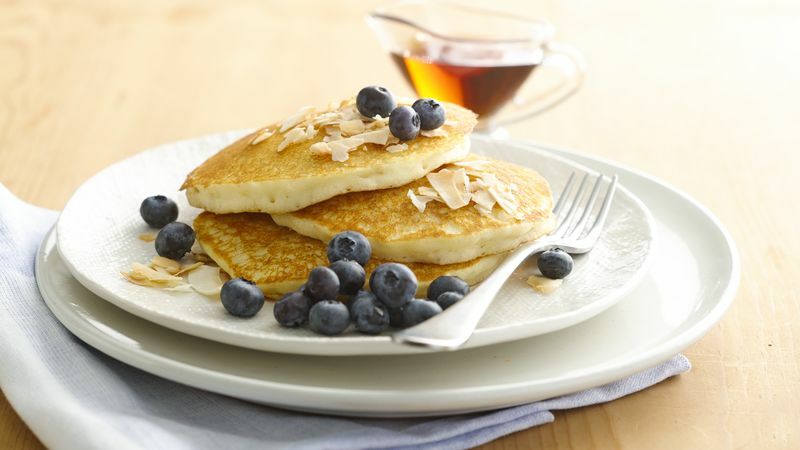 Serve with blueberries, coconut and maple syrup. Turn once; repeated cooking on both sides toughens rather than browns the pancakes.